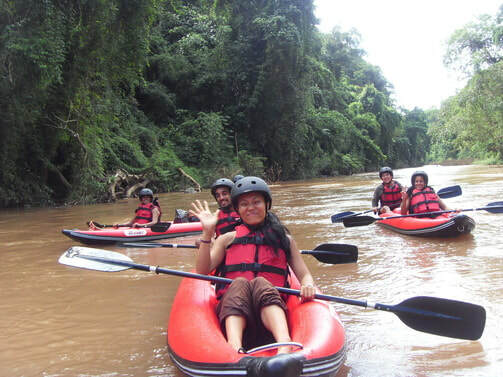 Kayaking or Rafting for 1 day on the Namha river through the Namha National Park - Trekking in Luang Namtha, Laos - Hiking, Kayaking, Cycling, Village Tours - Discovering Laos! 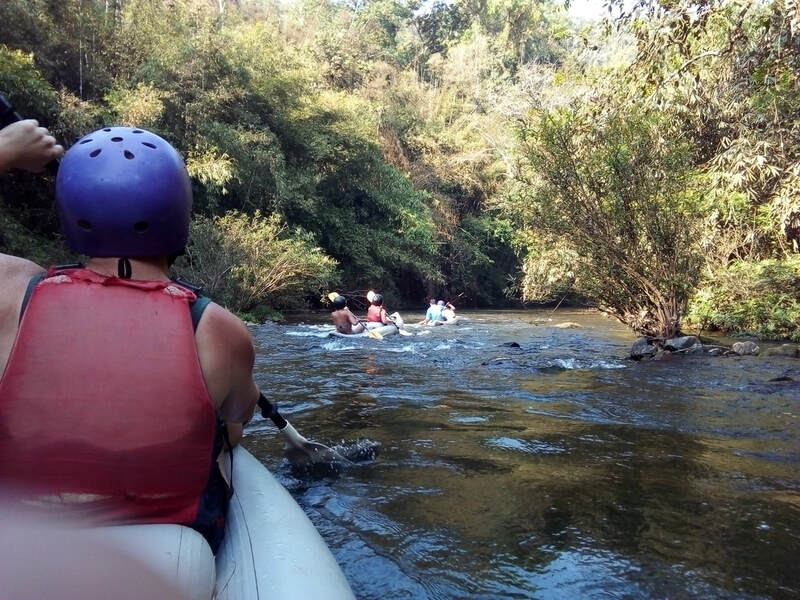 Experience the thrills on the fastest flowing river in the region during the wet season, not to missed! 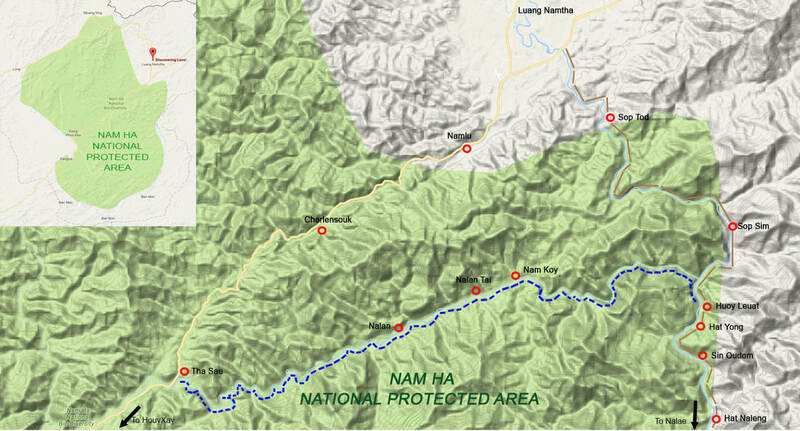 We meet up at the Discovering Laos office at 7:30am and take a tuk-tuk to Tha Sae village, situated on the Namtha river. After some basic instructions on kayaking techniques and safety we begin paddling downriver through the heart of the national protected area where, almost immediately, we find ourselves surrounded by lush tropical forest rising high from the riverbank on either side. After a few hours paddling through spectacular scenery and thrilling rapids, we stop at a peaceful riverside location for a Lao picnic lunch and, as is highly recommended, a refreshing swim in the river. Back on the river we encounter a series of yet more exciting rapids, all set against the backdrop of stunning natural beauty. 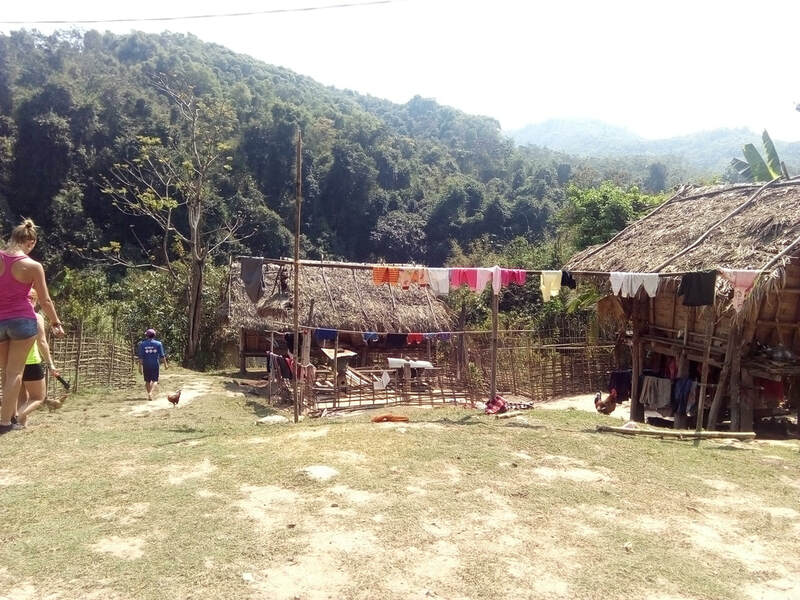 Further downriver we stop off to visit a couple of minority villages; heading first to the Khmu village of Ban Nalan, followed by the Lantan village, Ban Nam Koy. At each village we have the opportunity to meet the local people and learn something about their way of life. As we continue downriver the current alternates between periods of calm and fast flowing waters, with the chance to spot beautiful tropical birds between tackling wild rapids. Towards the end of the day we join the mighty Namtha river and, after crossing a final few rapids, we reach Houay Leuat village and the end of the river adventure. We then hop aboard the waiting tuk-tuk for a swift ride back to the Discovering Laos office in Luang Namtha. 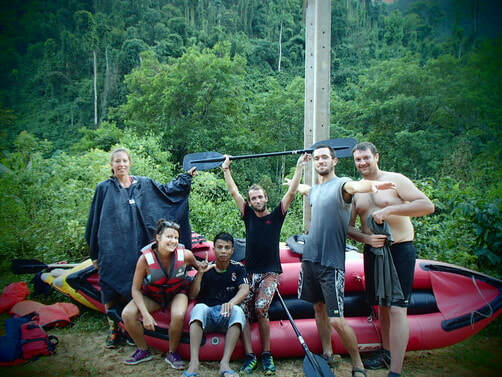 The price ranges from $36/person (USD) for 8+ Pax to $136/person (USD) for 1 Pax. The price varies according to the number of participants and time of year. The price decreases as more visitors book the same tour! Contact us to check the availability of a tour & the number of people who have already signed up for the tour for an accurate pricing. ​You can contact us directly now via WhatsApp +8562022990344 for pricing, booking, tour information and further inquiries. You'll receive a quick response from Vanxai Inyasone, owner of Discovering Laos. There is also a contact request form down below if you prefer to send us an email. Note: Bringing warm clothes is strongly advisable to change into for the tuk-tuk ride back to the office. We will respond within 24 hours by email after clicking Send Message or swiftly via WhatsApp. Thank you, speak soon!